Dhaka, 10 October, Abnews: BNP on Wednesday has said that the party rejects the verdict in the August 21 grenade attack cases, alleging that it was politically motivated and controlled by the government. “BNP does not accept the verdict as it is politically motivated. 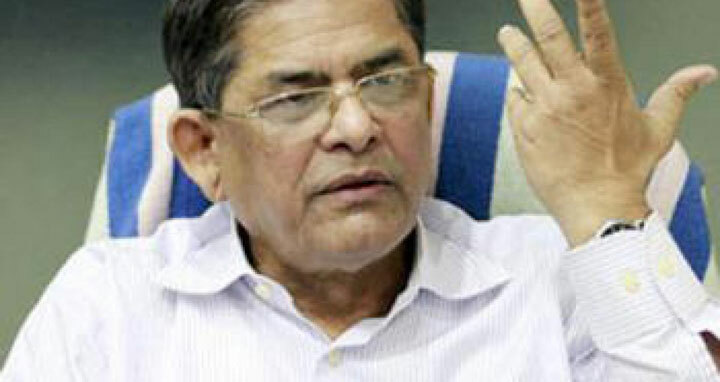 It’s just a show of government’s vengeance,” BNP Secretary General Mirza Fakhrul Islam Alamgir said in reaction to the much awaited verdict. While speaking at a press conference at the party’s central office in Nayapaltan, Fakhrul said the BNP will not accept the verdict. As their party Senior Vice-chairman Tarique Rahman was given life imprisonment in the cases, he said it has proved that country’s no citizen has now the scope of getting justice. Earlier in the morning, after a long wait for over 14 years, a speedy trial tribunal sentenced 19 people to death and 19 others, including BNP acting Chairman Tarique Rahman to life imprisonment, in two cases filed over the August 21 grenade attack on an Awami League rally in the capital in 2004.